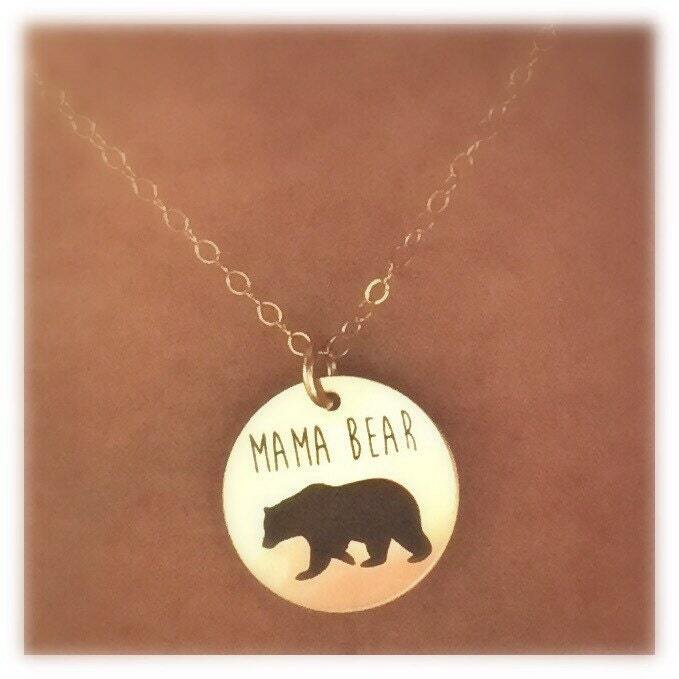 Cutest piece ever for all our moms out there! Perfect to wear alone, or pair with other pieces. 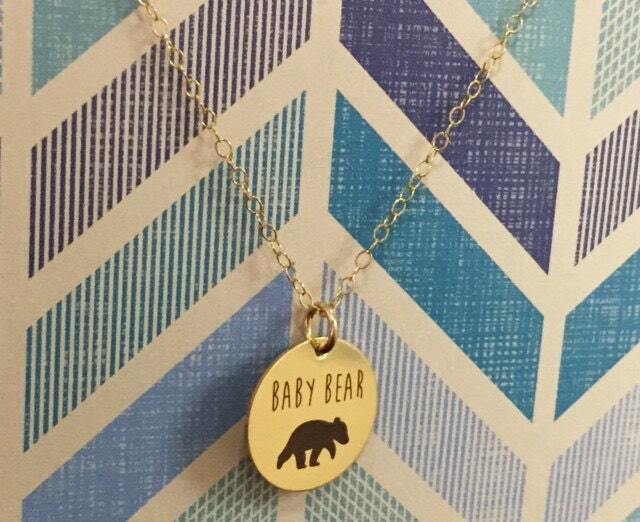 If you purchase with our baby bear necklace, receive a discount. 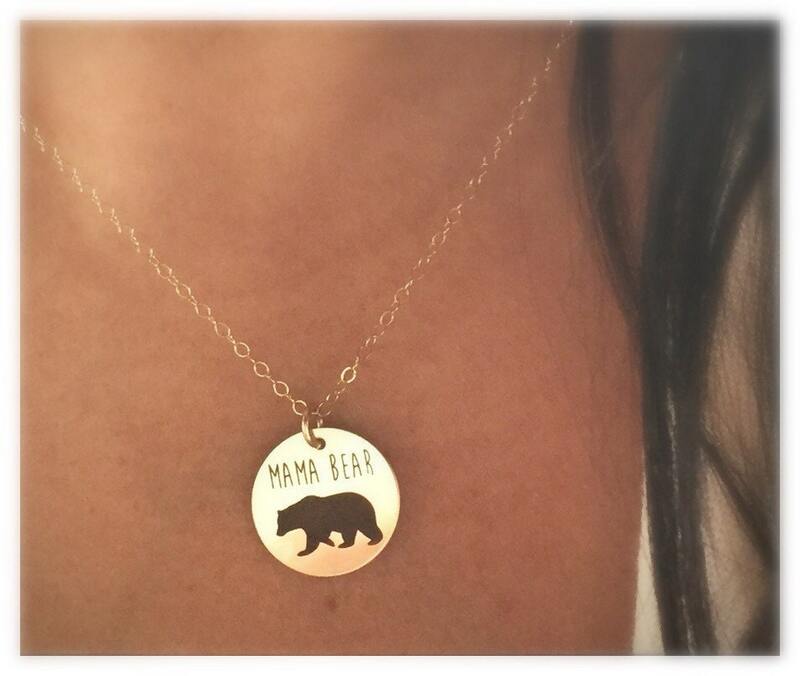 -Comes in Rose Gold or Yellow Gold or Sterling Silver. * ROSE (Yellow) GOLD FILLED, NOT PLATED: Gold filled is composed of a solid layer of gold (much thicker than gold plate) bonded with heat and pressure to a base metal such as brass. Gold filled items have over 100 times the amount of gold than gold plated items have. It's considered a lifetime material like gold, being very durable and tarnish resistant. 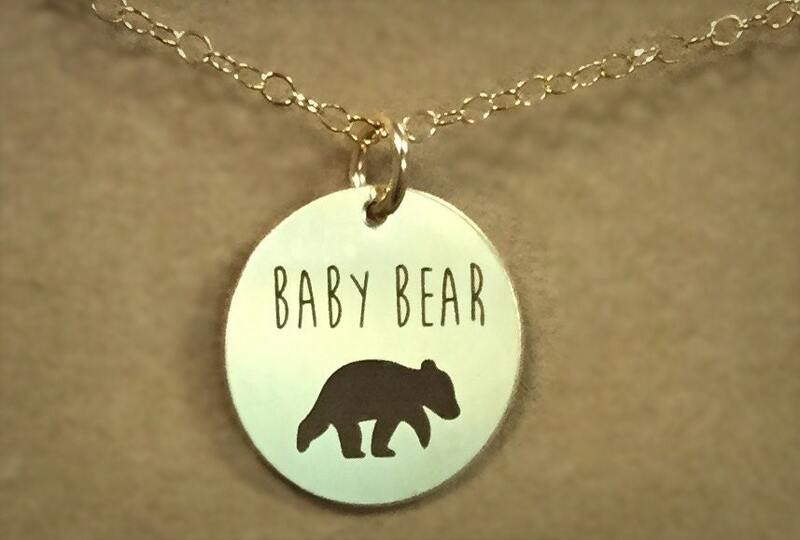 It can be worn by people with sensitive skin. *Pendants are stamped or die struck. This type of manufacturing may leave light scratches on the surface. Since this type of scratching is normal it is not considered a product defect. Please be aware that these are unpolished.